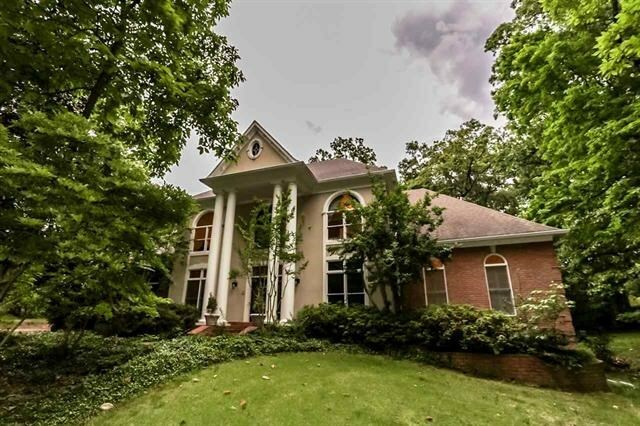 Elegantly updated custom home in very sought after exclusive gated neighborhood. Conveniently located to everything while living in a private retreat. You must see the upgrades that include hardwoods, granite, iron work, fireplaces and more. Kitchen and bath are updated and master bedroom has amazing space. 2nd bedroom down can serve as an in-law suite. Fantastic landscaping will make you take a deep breath and pause on the screened back porch. This home is offered at an amazing value. Must see!